Step into J.K. Rowling’s fantasy world on this 3-hour small-group tour of New York’s iconic landmarks, grand townhouses, and towering skyscrapers. Along the way, discover the sights that inspired the hit 2016 movie ‘Fantastic Beasts and Where to Find Them’ and get a taste of what life was like in 1920’s New York City. Make your own way to Times Square at 10.30am to meet your guide and small group of no more than 9 people in the heart of New York City. 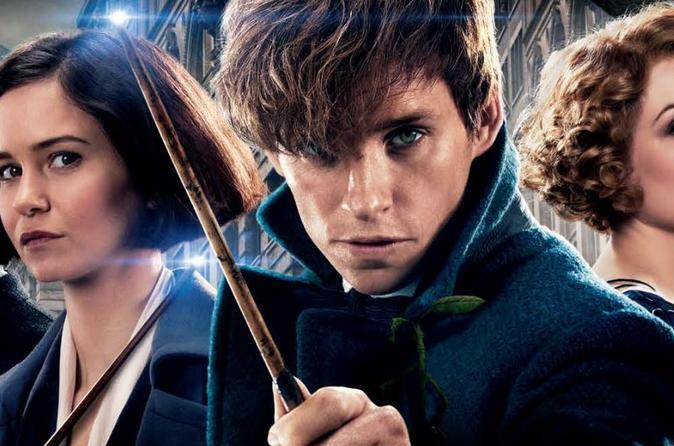 As you set out to explore the city, listen as your guide tells the story of ‘Fantastic Beasts and Where to Find Them’ and discover how J.K. Rowling’s latest novel was transformed for the big screen. Hear how a creative team was sent to New York to seek out inspiration before filming began in August 2015, and how the magic of NYC was recreated in London’s Warner Bros. Studios. Along the way, spot the building that served as the blueprint for the Magical Congress of the United States of America; see the vision behind Jacob Kowalski's apartment with a stop at the Tenement Museum; and admire a brownstone townhouse that resembles the one shared by Tina and Queenie Goldstein. Pause to take photos of the Statue of Liberty and Ellis Island, as you relive the moment when Newt Scamander arrived in the city, and pass by a traditional speakeasy similar to the fictional ‘The Blind Pig’. After three hours uncovering the mystery and magic of New York, your tour ends in Battery Park around 1.30pm.